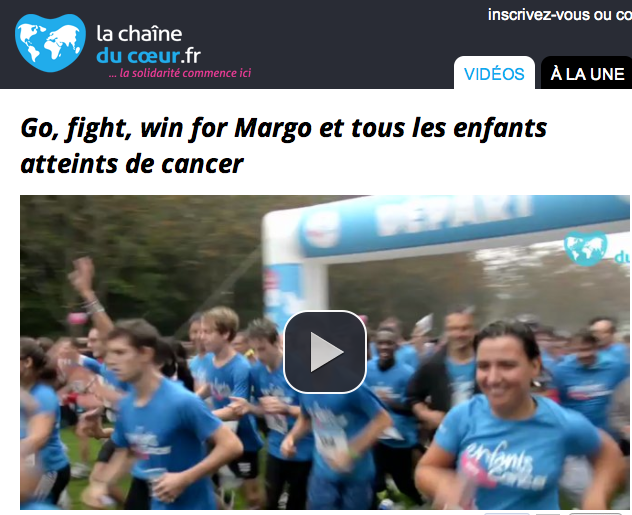 Home › News › News › CHILDREN WITHOUT CANCER 2nd EDITION : EXTRAORDINARY! CHILDREN WITHOUT CANCER 2nd EDITION : EXTRAORDINARY! 400,000 euros entrusted to the researchers at the itcc to boost the research on paediatric cancers! More than 1,000 runners calling present, 7300 donors, 100 volunteers and a magnificent cheque of 400,000 euros entrusted to the very touched researchers, to contribute to the advancement of the research against cancer in children. A big Thank You to all of you who have mobilised, who have supported us, helping to make this event a huge success, high on emotion and solidarity. RE-LIVE the race in pictures! THE PHOTO ALBUMS THE PRESS IS TALKING ABOUT IT A big Thank You to Claire Chazal who announced the race at the JT of TF1 on 21 September, made a reportage on children’s cancer on the JT at 20:00 on Saturday 28 September, sent a team to cover the race on 29 September, and showed the images on the JT on 13:00 the same day (minute 14)!!! 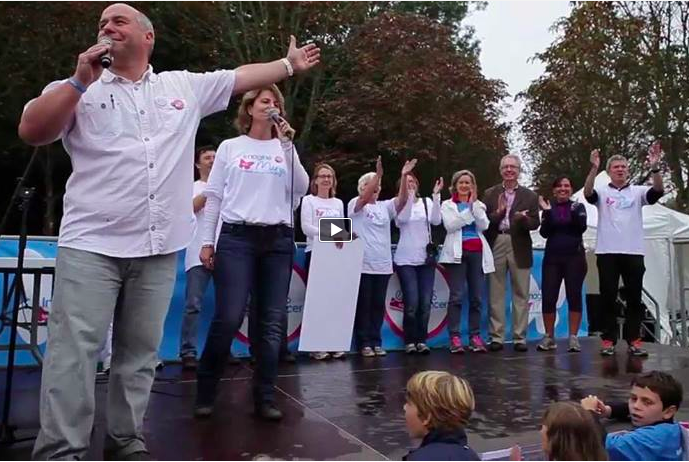 Thank you la Chaine du Coeur for the nice 15 minutes on Yvelines 1ére talking about our actions! Reportage on the race! Thank you Sophie Jaubert for the loyal support.